A holiday should be a time of relaxation, joy and adventure, but the statistics show that this is not always the case. Planned holidays are regularly ruined by a number of possible factors – and often, such factors are outside the control of the holidaymakers. There are many common holiday issues which affect people every year, and most of these can be claimed for. Many of these pertain to flights: delayed flights, over-booked flights and cancelled flights. You might even be refused boarding, and on a flight you might suffer lost, damaged or delayed luggage. Sometimes, holiday destinations are advertised falsely or misleadingly. 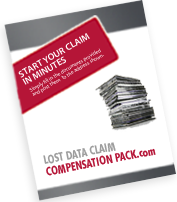 You can claim compensation for all of these. In 2009, 26% of flights did not operate on time. This staggering figure is mild in comparison with the 35% in 2008 and 34% in 2007. On average, in 2009, about 4% of flights were delayed by more than one hour. The figures differ from airline to airline. British Airways had a relatively good year with 3.6% but they are usually around the 6% mark. Ryanair saw only 2.9% of their flights delayed by over an hour, and Lufthansa 3.2%. Among the worst was Virgin Atlantic, at a high 8.2%. Sometimes, travellers aren’t aware of their rights. Airlines are obliged to provide details of EU compensation opportunities to any who suffer a delay or cancellation, but they don’t always do so. As an example, if a flight is cancelled which leads to a delay of over two hours, passengers can be entitled to a compensation of £180 or more. This figure increases considerably with size of delay and length of flight. According to new EU law, if a flight is delayed, and not even cancelled, by three hours or more, passengers are entitled to up to €600 in compensation. The Association of British Travel Agents represents about ninety percent of British package holiday providers, and it receives around 20,000 complaints each year. It is estimated that 3 percent of holidaymakers are unsatisfied with their holiday in some way. Over half of the time, the dissatisfaction is rooted in the accommodation, which might be different to what was advertised. The current economic climate means tour operators and airlines are acting with increasing tightness. More concerned with seeing out the recession than maintaining customers every year, these companies are seeking to avoid paying out any money as long as they can get away with it. Thus, the need for making compensation claims about holiday issues is more necessary than ever. 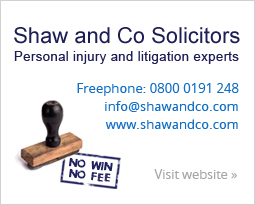 You could be entitled to a considerable sum of money if you have suffered holiday issues and wish to claim for it.